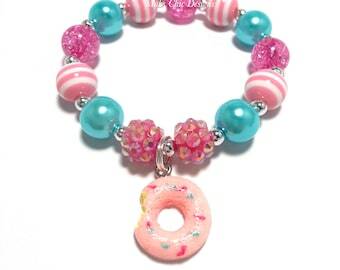 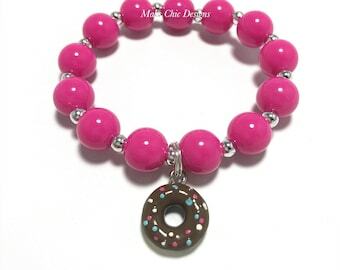 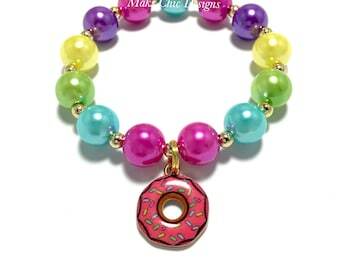 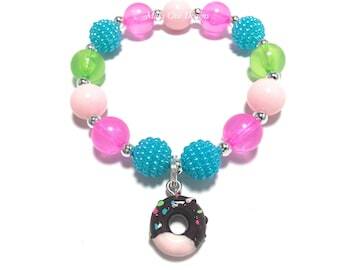 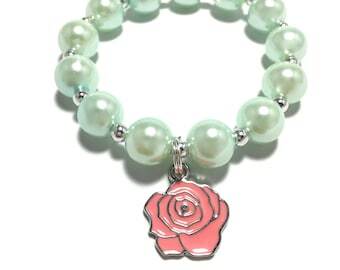 Sprinkled Donut Charm beaded bracelet. 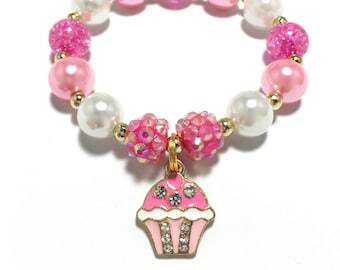 Made with jelly purple beads, hot pink pearl beads, bubble white beads and purple sparkle beads. 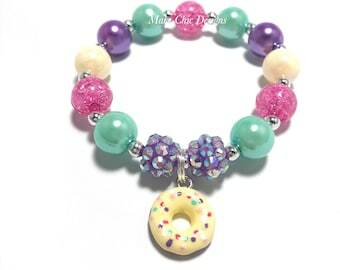 A white frosted donut charm with hot pink & purple sprinkles on top is added. 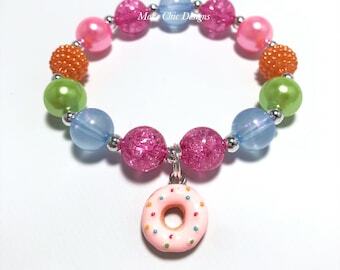 Donut is 1/2" in size. 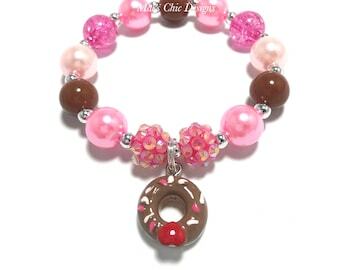 the middle of the charm is brown. 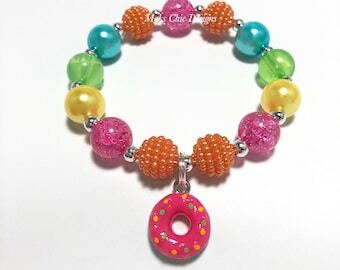 The spacer beads are silver tone.